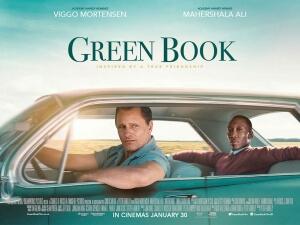 So, funny story about Green Book; I’ve actually now seen this film three times, yet this is the first time I’ve published a review for it on this website. I did write a review for this movie after I first saw it back in November at an advanced screening, with the intention of publishing, as I normally do; except, for whatever reason, I completely forgot to actually upload it. I genuinely thought I had, which is why I didn’t do another review when I saw it again in December, but it wasn’t until much later that I realised that I never actually did, which I feel like an utter fool for doing, especially with this film being lined up to be a major awards contender. But I guess third time’s the charm, and now you get to know my thoughts on Green Book, the movie which ever since being buzzed about at various film festivals – it won the People’s Choice Award at Toronto, which is usually a telling sign of what will go on to be nominated or even win the Best Picture Oscar – has had a bit of an online backlash for its light approach to heavy topics such as racism, most of which comes across more as slander for the sake of slander rather than actual criticism of the movie itself. It hasn’t been without other controversies either, particularly when star Viggo Mortensen dropped the N-word during a Q&A screening, and families of the depicted figures crying foul over certain inaccuracies in their life story, which even led to co-star Mahershala Ali apologising to said family members for being unaware of there being close relatives with his character with whom he could have consulted. Despite the alarmingly unfavourable reaction from many people online, the film has become an underdog in this Oscar season, taking home several prizes including three Golden Globes, a SAG award for Ali, the PGA prize for Best Picture, and is now up for several Oscars and BAFTAs including Best Picture. You’re probably dying to now know what I make of the film, and it may be somewhat controversial, but I think that the film is…. perfectly fine. It’s not the massive disappointment some online folks declare it to be, but neither is it a particularly outstanding movie that’s as worthy of the top prize as other films like Roma and A Star Is Born are. It is a completely decent, very likeable and overall serviceable product, not to mention an extremely accessible crowd-pleaser if there ever was one. Set in 1962, we are introduced to Italian-American bouncer Frank “Tony Lip” Vallelonga (Mortensen) as he’s looking around for work when the Copacabana where he works is closed for repairs. He soon secures a job as a driver to acclaimed African-American pianist Don Shirley (Ali), who is about to go on an eight-week concert tour across the Deep South, and obviously needs protection when visiting these areas of the country. At first, Tony and Don’s wildly differing personalities – Tony being loud and abrasive, and Don being much more stoic and reserved – tend to clash, but eventually the two men gain each other’s trust and respect, and their friendship becomes more solid as they travel through state after state, encountering the harsh realities of Jim Crow segregation along the way. Much of the online criticism towards this movie has been focused on how this movie fails to properly portray racism in all is harshness in the Deep South, with some calling it a very safe and sugar-coated depiction that undermines its emotional power, but here’s the thing; not every movie dealing with racism needs to be Selma or 12 Years A Slave, and this movie has a reasonable sense of humour to it – it’d have to, with it being directed, co-written and co-produced by Peter Farrelly, as in Dumb and Dumber and There’s Something About Mary Peter Farrelly – that of course something as decisively serious as racism is going to be handled not as darkly as those other movies. I think some people have been spoiled by how powerfully those other movies approached this topic, so when a movie like Green Book comes along that approaches it in a much lighter tone, they’re quick to jump down its throat for having the gall to find something humorous about the situation. The point being, there’s nothing to this film that’s inherently wrong about the subject, and it’s not like it doesn’t at all deal with how harsh it can be, but to take points away from something that’s setting out to give audiences a pleasing movie for this rather petty reason is a little pathetic, especially when the film is nearly nowhere near as bad as they think. After all, the movie’s overall focus isn’t even on the topic of racism; it’s way more about the friendship that blossoms between these very different people despite their very different backgrounds, and it’s a very sweet and wholesome movie when it does put this front and centre, which is thankfully very often. Helping it enormously is the strong chemistry between Viggo Mortensen and Mahershala Ali, both of whom are fantastic here with Mortensen really having a blast as this abrasive Italian-American archetype with a heart of gold, and Ali is quietly majestic in a part that really sees him put his underappreciated talents for sublety to effective use. Their back-and-forths with each other are extremely fun, whether it’s arguing over popular music or fried chicken, with these two actors really bringing to life this witty and heartfelt script that gives them both solid material to work off of. Though I did enjoy this movie, I wouldn’t necessarily put it above something like Roma to nab the Best Picture Oscar, though I also wouldn’t be too upset if this did win because 1) it’s a good enough movie that’s sweet and extremely likeable, and 2) at least Bohemian Rhapsody didn’t win. Green Book is a perfectly decent movie that has a very witty and sweet script come to life by the great pairing of Viggo Mortensen and Mahershala Ali, though I feel some people are perhaps getting a little too sensitive about it, especially with its light approach to topics such as racism.